Reddogdesigns is a one man interactive design and production studio. Reddogdesigns is the work of Vancouver based UX/Interactive designer Michael Hughes. 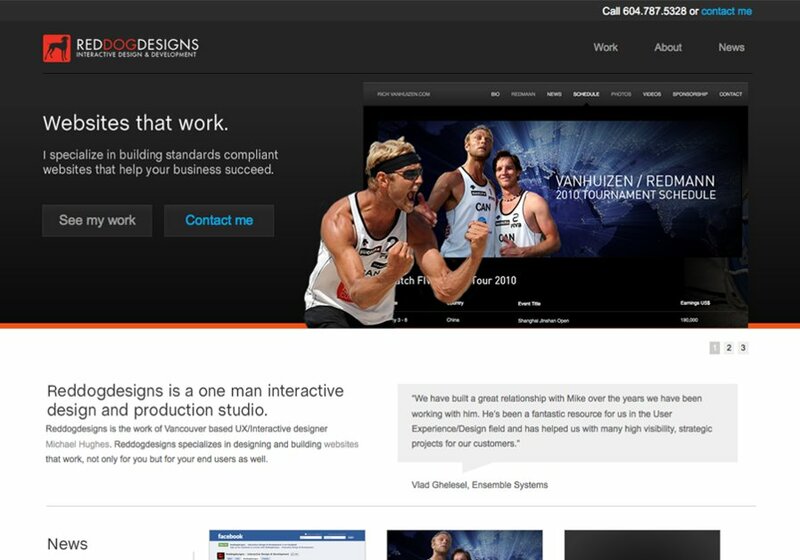 Reddogdesigns specializes in designing and building websites that work, not only for you but for your end users as well. This is a screenshot of the recently redesigned reddogdesigns homepage.